Being a pet-owner in Houston has many benefits. However, it also comes with a wide range of responsibilities. One of the biggest of these responsibilities is figuring out what happens to your pet while you and your family are away on vacation. While many family members and friends may be happy to take care of a cat or dog for you, most are less inclined to take ownership of a hamster, ferret or gerbil. Like it or not, many smaller and rodent-type pets are less attractive for people who don’t own pets. Unfortunately, this reality often leaves owners of small animals in a bind when holiday time hits. However, if you are based in Houston it doesn’t have to be like that. With a wealth of experience caring for and working closely with small animals such as guinea pigs, rabbits and chinchillas, Fireplug Bed & Bath is the number one pet care company you should call when you need boarding for a small animal. Located in Houston, our spacious and relaxing setting is tailor-made for a short, medium or long-term visit for your small, furry friend. So, why not call today? We promise you won’t regret it. Here at Fireplug Bed & Bath we offer comfortable and spacious indoor and outdoor boarding options for your rabbit. Our outdoor rabbit boarding cabins are 12 by 8 feet in diameter and offer ample opportunity for your furry member of the family to roam and explore while also ensuring safety and security. We also offer a 24-hour exercise space for your rabbit where they can roam, run or meander at their own chosen pace. We find that our outdoor cabins are most popular during the warmer summer nights in Houston. Our indoor cabins are slightly smaller but are perfect for winter stays, as well as for rabbits who are more accustomed to indoor living. Fireplug Bed & Bath knows that being a pet owner of a hamster, guinea pig or gerbil requires incredible attention to detail. With pets this small, even the slightest change to their environment can alter their mindset entirely. It is for this reason that we go to every length to ensure that our small animal visitors are cared for in customized boarding areas that perfectly meet their needs. Our outdoor boarding space for smaller animals is only available from April to September. In the winter months, we bring all our small animals indoors and cater for their needs inside. We also guarantee that all our visitors will be kept separate from other small animals to ensure that the risks of cross-infection is reduced. If you’re planning to be away for any amount of time, don’t hesitate to contact us today to see how we can care for your small animal in your absence. 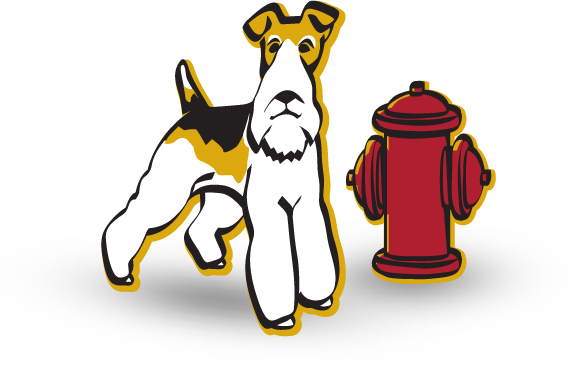 With Fireplug Bed & Bath’s superior boarding services and trusted team, we promise you won’t be disappointed.